Increase the effectiveness of your conversion efforts by understanding how your customers' brains work. Be more effective: Understand how the signal processing in the brain works so your message really gets into the mind of your audience. Control perception: You can control what and how the content of your websites and landing pages will be perceived. Raise buying motivation: Understand the influence of emotions and fears of your audience to increase the motivation to buy of your users. This live course starts on April 30, 2018. Most online marketers apply consumer psychology superficially - like a tactic that you can just copy and paste. But the human brain is too complex. It often doesn’t work to apply tactics without understanding the deeper mechanisms. In this course, André will give you an overview how the human brain is hardwired and how to leverage that knowledge for more conversions. André uses a lot of practical examples to showcase you the application of the knowledge. By attending the live course, you will also have fun with live tasks and interaction. You think psychology is just some esotheric stuff for UX nerds. André has been an optimizer for more than 20 years and has been sharing his passion for optimization with others for nearly 10 years as an international keynote speaker, blogger and author. André is co-founder of the Global Optimization Group, a network of leading optimization agencies across the world. He is also a university lecturer and recently received an award as Germany's Best Employer out of hundreds of participants. His own company konversionsKRAFT employs 75 conversion specialists and is regarded as one of the biggest CRO consultancies worldwide. 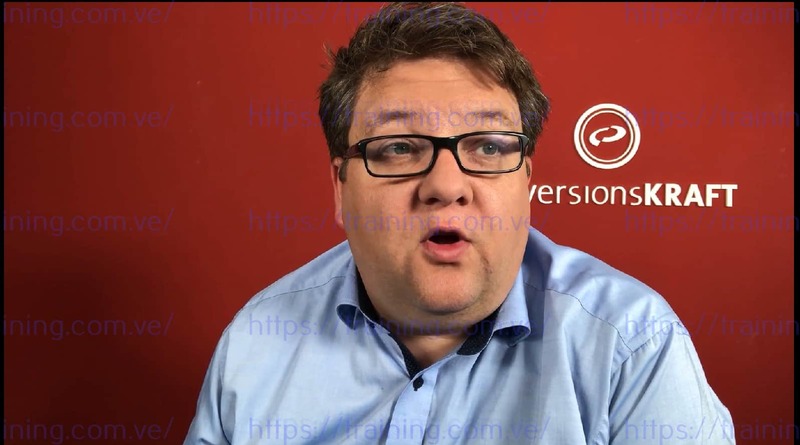 André is both incredibly knowledgeable about conversion optimization and very well connected in the industry. We've used the expertise of André and his team on multiple occasions and I've always been impressed with the depth of the recommendations received. André is a passionate optimizer. He stops at nothing to find out what's stopping users converting - then works with clients to fix it. It's always a pleasure working on joint projects with him. As the practice of optimizing, split testing and using persuasive psychology in product design has grown, it is thanks to leaders and thinkers in the field like André. Without his contribution, many people would still be stuck in the dark ages of testing and on a personal level. I've enjoyed every second of wisdom he's imparted through talking and presenting. He's my favorite speaker from the conferences I attend and invariably gets the highest rating from attendees - he's that good. Classes are 60 min and take place 11:00am Central Tuesday/ Thursday. Get the bigger picture of neuroscience and neuromarketing. How is it different from psychology? How do the disciplines work together? How can we use this knowledge to lever the potential of customer experience? Most optimizers are familiar with clickmaps and heatmaps from mousetracking or eyetracking. But do you know what stimulus triggers the attention? The eyes are hardwired with the brain and as an optimizer you should know how to influence the customer's behavior. People buy what makes them a better version of themselves. According to neuromarketing studies, most behavior is influenced by a mechanism of preferences for certain values that is deeply implemented in the human brain. When we talk about concepts like trust, relevance, or clarity, the customer's brain has made a decision in a couple of milliseconds. This happens a lot of time before the rational part of the brain has a rational explanation of the decision. You can use this principle to increase trustworthiness and perceived usability of your website. Optimizing websites actually means changing buyer behavior. Your optimization process is a process that is not effective as long as you don’t implement the core principles of online behavior. Learn how to use neuromarketing principles and how to implement them in your optimization process. In addition to classes, you’ll get access to snack-sized video lessons with actionable assignments to bring you up to speed before you start the course. Growth is a result of buyer behavior – learn how to be more effective by focusing on customers. Everybody has a set of preferred values. If you want to sell something, you need to learn how these values affect buyer behavior. Once the course is over, pass a test to earn a CXL certification.